VanEch Studio is thrilled to be one of the first Pure & Original Paint retail stockists in the United States. We have been painting walls and furniture for almost a quarter century and have selected this Belgium made paint line for its respect for people and nature, using only the best materials and all natural pigments. 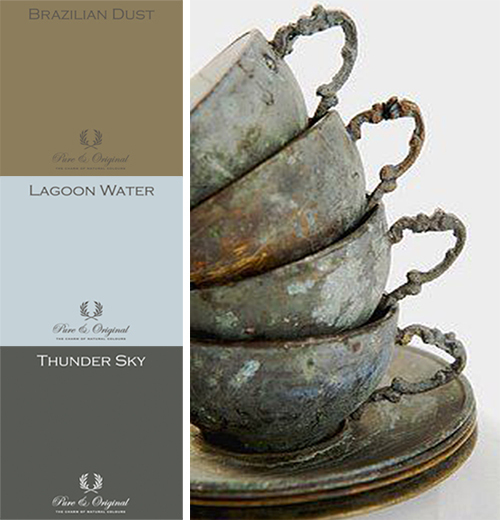 Please visit www.pureandoriginalpaint.com for product information, colors and inspiration. We showcase the Fresco Lime and the Marrakech finishes on our store walls, and have furniture pieces painted in the Classico chalk-based paint on our floor for you to see. We stock many of the colors in sample size, quarts and 2.5 liters, but if you are looking for a specific product and color please call ahead to check availability. Color brochures featuring all 140 actual paint samples are available for purchase. We are happy to ship anywhere in the US. Want hands on instruction on how to use the Pure & Original paints? We offer workshops for both the beginner and the advanced painter. Please visit www.etsy.com/shop/VanEchStudio for schedules, registration and more information.